I love foaming soap, but I don’t like foaming soap prices. I prefer how it feels on my hands and I love that I’m not using as much soap each time I wash my hands or wash the dishes. 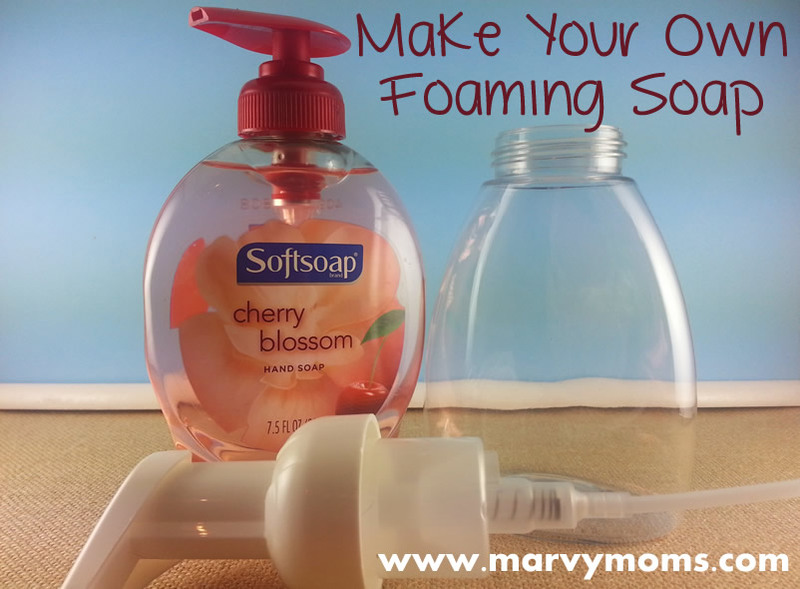 You can use one 8 oz bottle of liquid soap to fill up 8 of the 8 oz foaming soap dispensers! 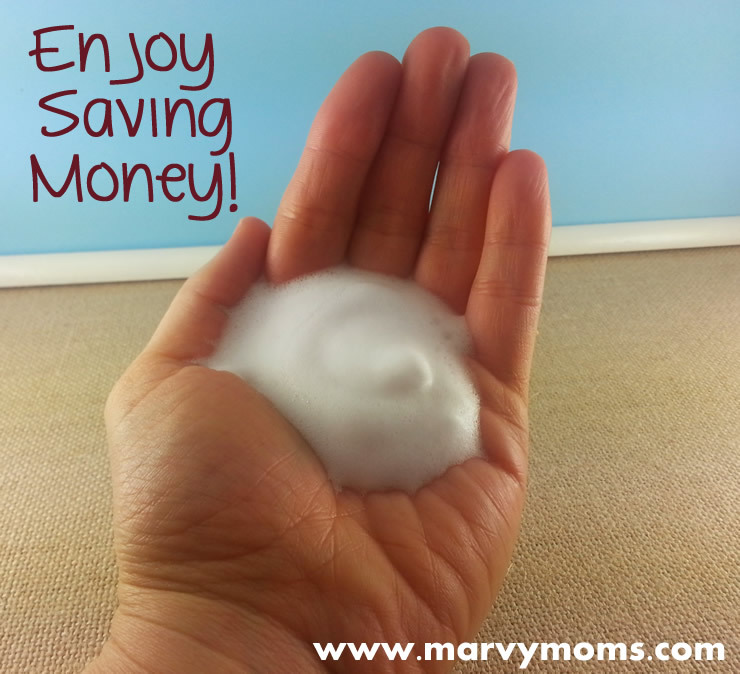 Buying pre-made foaming soap to fill up your foaming soap dispenser costs almost 16 x that of liquid soap! 1. Get an empty foaming soap dispenser and liquid soap. 2. 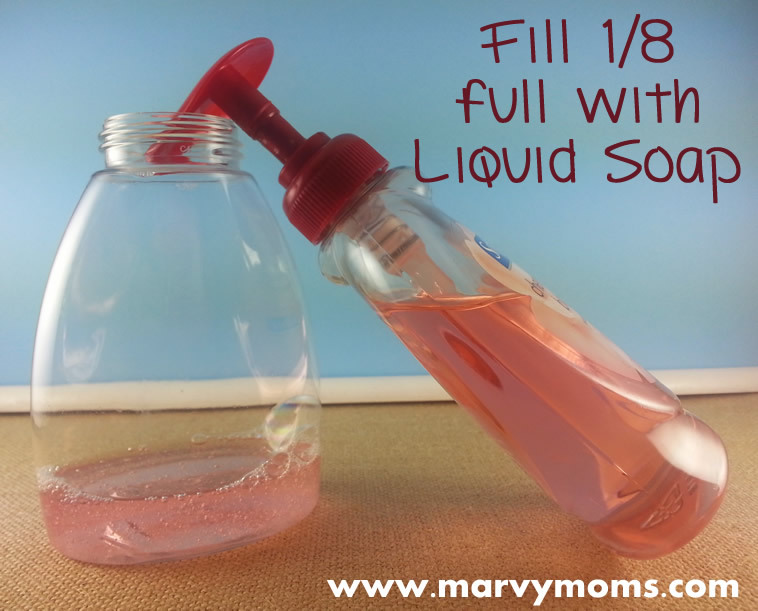 Fill with 1/8 liquid soap or dish-washing liquid (I use one just for washing dishes). 3. 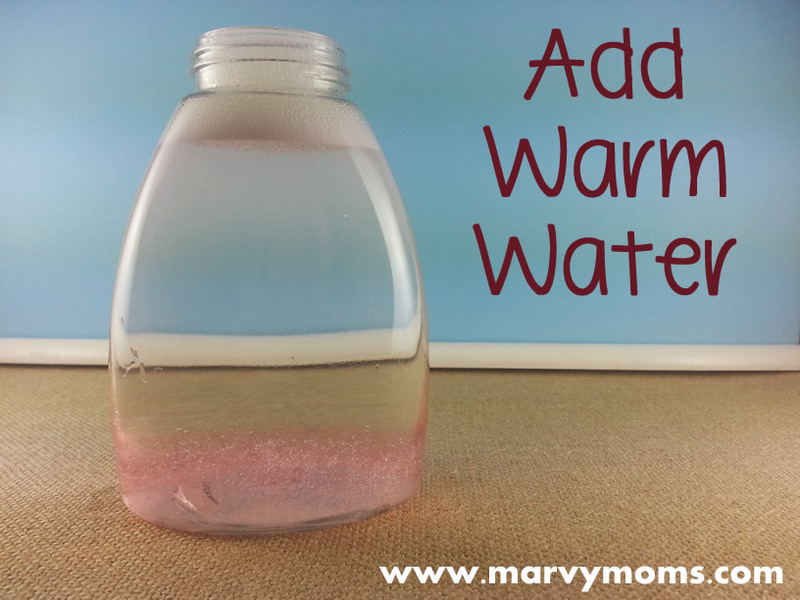 Fill the rest with warm water. 4. 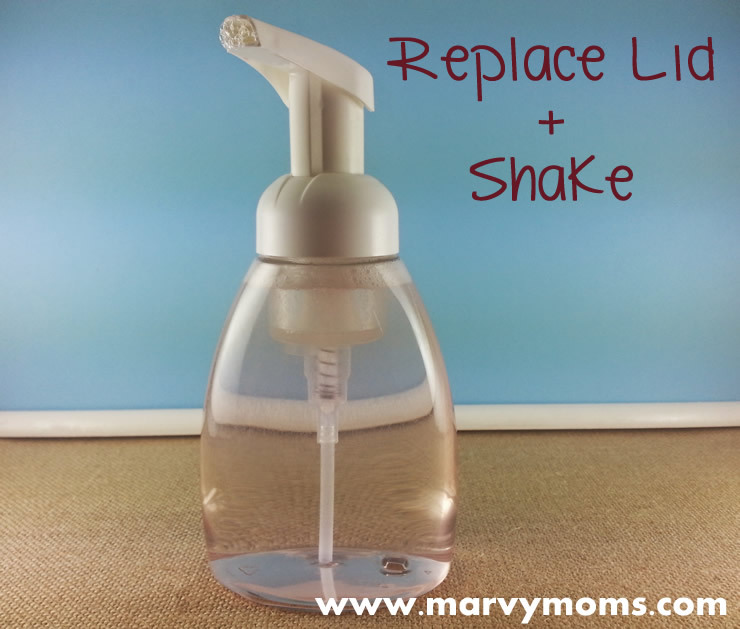 Replace the lid and shake. 5. That’s it! Use them over and over again. TIP: Be sure not to use too much soap! You really do only need 1/8 of the bottle. I gave a couple of the empty dispensers to my father-in-law and he keeps adding too much soap. Too much soap will make for a not-so-foamy result and tends to clog the dispenser. 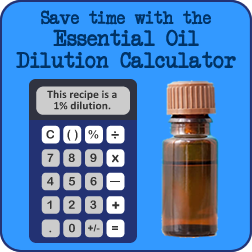 My next challenge is to use liquid Castile soap with essential oils instead of commercial liquid soaps. I have a little more research to do on that first, and I’ll share what I’ve learned with you once I figure it out. You should definitely give Castile soap a try. Here is the safety rating link for the soap posted in your pictures. It has a 5 rating which means it is filled with synthetics and harmful chemicals. The ratio for Castile soap is the same as the one you posted above.